Wealthy representatives of “New China” ever more frequently prefer to buy a bottle or two of special quality beer and background ignoring the mainstream product. In truth, many Chinese think that only import beer can be qualitative and can outline their status. But as many other countries’ experience shows the fast popularity growth of import beer is a precondition for the craft segment and small brewing development. 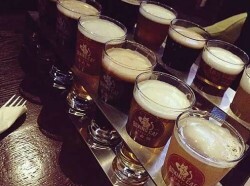 Quite recently, at the stage of the riot growth of the Chinese beer market, there was a decrease of small breweries’ number. Powerful finance infusions and the state support, low cost price and edgy marketing technologies of the major companies did not leave chances for small regional producers. Then they were playing on the same market field of low-margin regional beer with a flat empty taste. The process of market invading by big companies is well reflected in the statistics of the brewing productions’ number. In 1996, in China, there were ... breweries. But the Asian finance crisis 1997-1998 led to a fast fall in their number and in 2001 there were only a little more than ... businesses left. The market consolidation in the hands of major companies would have certainly resulted in further reduction of the businesses’ number, if not for mini-breweries uprise. This trend appeared approximately in 2008, when the Chinese market had only ... producers left according to the official data. But as soon as in a few years new minibreweries numbered several dozens in the big Chinese cities. And by the end of 2015, number of minibreweries increased approx. to ... and went on growing rapidly. The retail price of the craft beer usually exceeds 25 yuan for a glass, that is, belongs to the superpremium segment of the Chinese market. According to Hai Tong Securities research report, the craft beer market in China is growing rapidly and the gross margin and net profit margin in this sector amount to 50% and 30% correspondently. This is much more than the producers of the traditional bottle beer earn. Now the craft brewing is thriving in the central cities (Chongqing, Beijing, Shanghai, and Tianjin). Development of craft producers is equally prospective both in big cities and in third-tier cities (medium-sized cities of each province). In Beijing the most popular brands are minibreweries Panda, Cow Beer Hall; and in Shanghai Boxing Cat, Tap House Workshop, and pub Wuhan No. 18 are most demanded. Equally high interest among the Chinese is enjoyed by Nanjing High Master, Chongqing Fung Rudder, Chengdu Harvest, and some other brands. Even Tibet and Ningxia have a craft of their own. The current sorts’ range by the Chinese craft brewers is as good as their counterparts from the USA which corresponds to the westernization trend. Yet, striving for originality and driven with creative impulses local brewers also start manufacturing beers with Chinese characteristics and special national ingredients. The fast growth of craft beer sales conduces to a lot of new bars and restaurants in the western style upspring, some of them specializing in craft beer sales. Minibreweries’ owners place their main stake on them. The most of craft beer is packed in kegs but not sold in retail. Panda Craft Beer is surely an unrivalled leader in the Chinese craft beer market, with its 20 mln yuan sales revenue and the annual natural volume of 1 mln litres of beer. The brewery’s regional offices are located in more than 50 cities throughout the country, and the company is far from being complacent. Panda Craft is striving to increase the number of outlets in big cities like Shanghai, Shenzhen, and Chengdu and to woo tourists of Dali district. 20 million yuan is to be attracted for the implementation of Panda craft plans in 2016. The management plans to use money in two directions. The first is the need to create its own line of fermentation and filling. Furthermore, Panda plans to launch several new brands. The second direction is to promote Panda craft beer in China and abroad. Along with the market factors, the number increase of small brewers is promoted by China’s leadership on the market of minibreweries. The major outlet market for Chinese producers of brewing equipment used to be the Eastern Europe which experienced a boom of the small brewing. Yet, the national currencies’ devaluation to yuan, which has happened in the recent years, obviously makes Chinese suppliers find growth opportunities on the home market. 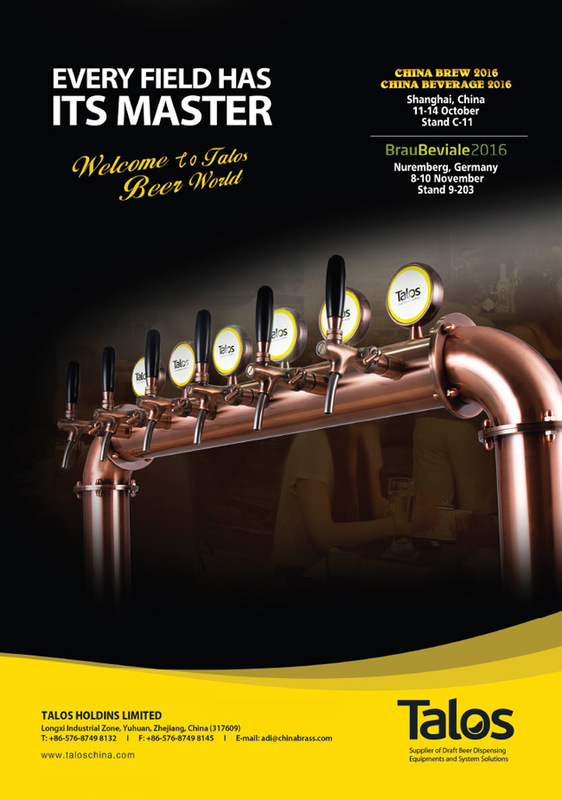 Over ten years of competition with European minibreweries producers, Chinese businesses have mastered the necessary technologies and know-how. They are able to manufacture rather affordable equipment of different quality, capacity, and complement. 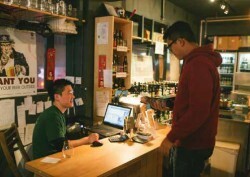 The Chinese are increasingly interested in craft beer. However, the industry is still in its infancy in China because consumer awareness of craft beer is not strong. Yet, amid the beer market downturn, craft brewers will have to face a new challenge from the industry giants. The point is, brewing companies like AB InBev and Tsingtao, searching a way to compensate the losses from the sales decline of the tradition bottle beer, decided to fit into the craft niche, ousting the already existing players. While in the USA according to the definition of the American Brewers’ Association, on being overtaken by a big brewing company, a small brewery loses its craft status, there is no such rule in China. Besides, the big players’ desire to enter the craft niche results in crafty style beer. Tsingtao Brewery presented its own version of the IPA at the end of 2015. Beer is supplied to bars in 16 communities. Zhuajiang Brewery, belonging to AB InBev by quarter invested 250 mln yuan into building of new production lines for “craft beer” filling in Guangxi, East Wan, Zhanjiang, Hunan. In May 2015, the company launched high-end market for the Fort Snow - Craft series including unfiltered beer, dark beer, and red beer. Yanjing Brewery is also investing a lot of efforts into the “craft beer” development. In order to promote their crafty brands, big companies hire bloggers, sponsor various events of craft brewers and festivals, they are even willing to buy extra shelf space with craft beer. In this brewery sector, much depends on consumers. By no means all of them know what craft beer is and find nothing negative in possible monopolization of the industry by big national breweries. However, can a beer produced in industrial volumes be considered craft? In order to protect their own and consumers’ rights, brewers create their unions such as China Craft Beer Association that help to raise the population’s awareness on the real craft beer.